A warm welcome to my first victim visitor. Joining me on the chaise longue today is novelist and fellow Crooked Cat Publishing author Miriam Drori. Her début novel Neither Here Nor There was published last year. Thanks for visiting and agreeing to answer my questions, Miriam. Let’s get started. Vanessa: You have been very open on your blog and elsewhere about struggling with social anxiety. What do you hope to achieve with your blog and does your writing help with your own issues? Miriam: Ooh, nothing like being thrown in at the deep end! But you’re right; it took me years to get to this stage, but now I’m open about my social anxiety, along with its origins, symptoms and effects. When I belonged to an online social anxiety forum, I was saddened to discover so many people who are wasting their lives because of this, at a considerable loss to the world. People subsisting on benefits when, with the right help, they could be contributing to society and consequently feeling much happier. So I determined to do something to raise awareness of this disorder. Writing is something I know how to do and so I became a writer. My blog is an extension of that. It concentrates on three topics: writing, living in Jerusalem and social anxiety. Posts that I have written on social anxiety have helped readers to better understand the issues, and hopefully have caused them to be more sympathetic to problems that are so often misunderstood. “A problem shared is a problem halved,” they say, and I think that’s true. I’ve never been good at expressing myself orally, especially when it comes to things that are hard to admit to, so I prefer to do it in writing. And yes, it does help. Readers have been so kind in their comments. I’ve even met one or two offline and hope to meet more soon. Vanessa: I’m sure a lot of people who also experience social anxiety will be reassured by your answer, Miriam. On to the next question. What was the inspiration behind your debut novel, Neither Here Nor There? It started with an excellent online course for writing romances, run by Sally Quilford. As part of the course, we had to plot a romance where there would be conflict. The story I came up with was one that interests me, although I haven’t had first- or second-hand knowledge of such a situation, and I wanted to explore it. I knew it would provide plenty of conflict, and I looked forward to setting a story in my home town. 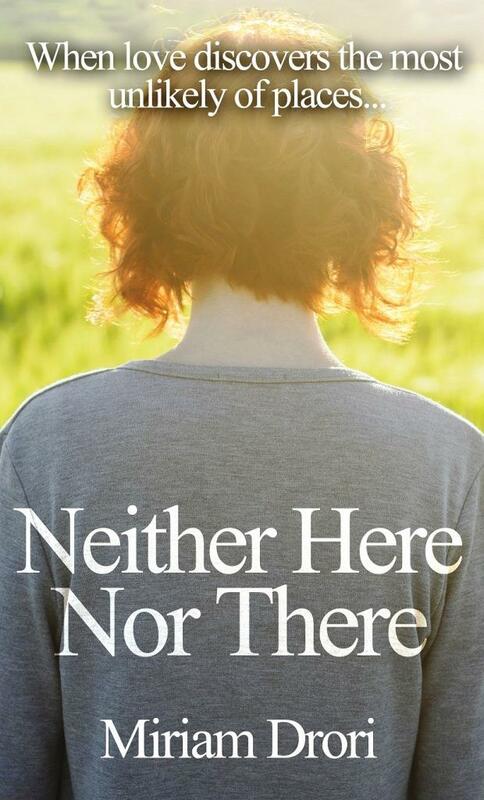 Neither Here Nor There is about Esty, a girl who leaves a strict orthodox Jewish community for life in the secular world. What reactions have you had to this theme? To answer that, I’ll divide readers into three groups: uninformed, informed, orthodox. Uninformed readers have mentioned learning a lot from the novel. They’ve learned about a community in Jerusalem that keeps itself apart from mainstream society. They’ve learned about the difficulties anyone growing up in this community would experience if they wanted to leave it. Although they knew nothing about this particular community, I think they were able to relate the story to similar situations, so that the underlying problems didn’t seem totally foreign. Informed readers – Israelis and some diaspora Jews – were happy to read a story that involved familiar places and situations. They generally felt the story was true to life. As the author, I didn’t take sides in a religious debate. But of the two main characters in the novel, one is not haredi (ultra-orthodox) and the other is leaving that community because she no longer wants to be a part of it. Therefore, the views of both characters are against the haredi lifestyle, and this fact made the novel problematic for at least two orthodox readers. One expressed reservations while the other criticised the whole novel. I’m not surprised. That it’s much more difficult to get on with the next novel, because you have to spend so much time marketing the first one. Vanessa: this resonates with me, Miriam! Do you prefer writing about what you know or exploring new avenues in your writing? Both. When I wrote Neither Here Nor There, I liked the fact that I could draw on my knowledge for a lot of the novel while needing to research other parts. I think writing a novel in which everything was new to me would be daunting, but I don’t rule it out. In fact, one of my ideas for a future novel is just like that. You were born in London but now live with your family in Jerusalem. What challenges do you experience as an ‘ex-pat’ author in terms of both writing fiction and promoting it? I realised I could promote the book only to groups of English speakers. While there are plenty of native English speakers here, the language definitely limits the local market. In terms of writing fiction, I don’t think I’ve experienced any particular challenges. There are enough English-speaking writers here for there to be courses, seminars, literary events and writing groups, so I don’t feel alone in this field. Vanessa: as a fellow ex-pat, I agree that living in a country with predominantly non-English speakers reduces the opportunities for direct promotion. Thankfully, the internet breaks down some of those barriers. As it does in terms of communicating with other writers. There are four planned novels in different stages of preparation. I’ve reached a stage where I need to decide which one to focus on. One takes place in England and partly in Japan. Another takes place in Norway. The third is set in India. (Can you tell I like to travel?) And the fourth is a sequel to Neither Here Nor There. I’m not good at decisions! So far, not a lot has happened at all. The nicest thing was getting the email from Crooked Cat accepting my novel for publishing. Another nice thing was reading from my novel at a literary event. Contrary to what you might think, I love appearing before an audience, and reading aloud is something I do well. I wasn’t supposed to sell the novel at the event, but several people expressed an interest in it. One even showed me his Kindle containing my novel, which he’d downloaded during the event. Vanessa: I grab with both hands any opportunity to appear at literary events, since English ones are not common here. English book clubs are on the increase in France, which is helpful. In Israel, there’s no tradition of drinking – at least not amongst my generation. There are no work outings to the pub and no before (or after) dinner drinks, although there can be wine during the meal. However, my husband and I occasionally enjoy a glass of something, along with too many crisps. A couple of years ago, someone introduced us to margarita. We have that sometimes, although I find it a bit too strong. Apart from that, I don’t think I have a favourite, really. I’ll drink anything that’s going! Vanessa: a bit different from the French aperitif tradition, then! Many thanks, Miriam for these insightful answers. Good luck with your writing plans. 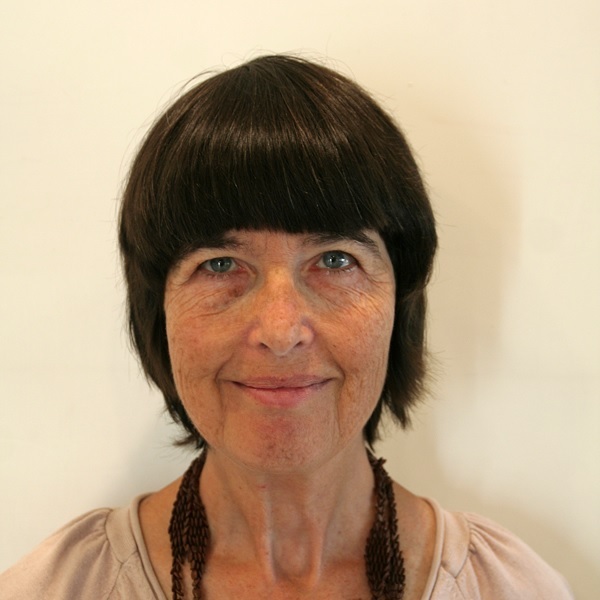 Stay tuned for next week’s appearance: versatile novelist Nancy Jardine, whose guest post talks about sourcing images for blogs and novels – historical and contemporary. Copyright © Vanessa Couchman, Miriam Drori 2015. All rights reserved. This entry was posted in Author interviews, Fiction and tagged author interview, Crooked Cat Publishing, fiction, Jewish fiction, Miriam Drori, Neither Here Nor There, romantic fiction, social anxiety by nessafrance. Bookmark the permalink. Hi both, I learnt some fascinating stuff that I didn’t know about you, Miriam. Good interview. Your book sounds fascinating, Miriam. I’m off to download it onto my Kindle. Glad you enjoyed it. I can recommend Neither Here Nor There. Great interview, ladies, and lovely to learn more about you, Miriam. Thank you, Shani. Very interesting responses from Miriam. It was great to learn a bit more about Miriam- my thanks to both of you! Thanks, Nancy. I enjoyed learning more about Miriam, too. Absolutely. I keep writing. One day there will be another novel or five. Thank you, Seumas. Totally agree about the need to keep writing. And I look forward to seeing more from Miriam’s pen. A really interesting interview. Well done to both interviewer and interviewee. I look forward to the next one and good luck with ‘Neither Here Nor There’ Miriam. Thank you! I’m pleased you found it interesting – Miriam was an excellent interviewee. Thank you so much for hosting me, Vanessa. My pleasure and thank you for such an interesting interview. Interesting questions lead to interesting answers.